The London Bike Show is mere days away from taking over a large portion of East London’s ExCeL Centre. 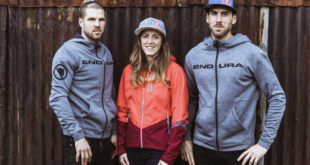 Taking place alongside the newly minted Triathlon Show: London (and the Telegraph Outdoor Adventure & Travel Show and London International Dive Show) it’s an event with broad appeal. So what is there to lure the punters in, and us trade types too, for that matter? The exhibitor list tends to be the first place people start whilst weighing up their options, so let’s take a look at a few of the bike names appearing. There are heavy hitters like Cannondale, Boardman, Scott, Giant and Colnago. That’s not to mention the likes of Canyon, Hoy Bikes, Mavic, Raleigh, Santa Crux and Schwalbe. In total there are over 200 exhibitors featured in the halls. Tri UK will be offering bike fitting to the masses that will be piling into the halls, spreading the good word about getting properly fitted to your bike. Similarly there will be chance for visitors to measure up their individual fitness thanks to the Surrey Human Performance Training Hub for quality one-to-one assessments. There will of course be a test track to get those all-important bums on saddles. Backed by Bikes Etc, the 500m track will be available for road, commuter and electric bikes. Children get their own test track to try out potential new rides. Other trade-relevant features include Cytech’s classic Fastest Wrench competition. The Cycling Performance Theatre, sponsored by British Eurosport, will no doubt attract a good deal of trade attention too, with a number of respected special guests speaking including Greg LeMond, Manon Carpenter, super Olympian Sir Chris Hoy, Steve Peat and Josh Bryceland. With cycle safety never far from the headlines, CLOCS (Construction Logistics and Cyclist Safety) will run an exchanging places exhibit on its stands, with two vehicles from the Met Police and Cemex on display as well as Mercedes’ new tow-cab tipper, the Econic. If you’re unfamiliar, this exchanging places demo gets visitors into lorry cabs to see just how limited the visual range drivers have is. The Total Women’s Cycling Awards are following up their debut at last year’s show with a follow up this time around. 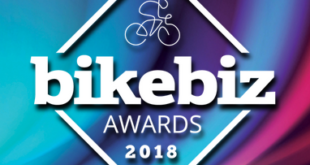 Taking place at the Cycling Performance Theatre the awards, in association with VeloVixen, is voted for by the general public or judged by women in the cycle industry. Speaking of which, Total Women’s Cycling is backing our Women in Cycling project, listing 100 influential women in the cycle world, which we’ll be launching on the first day of the show after the Total Women’s Cycling Awards take place (on Thursday February 12th). Back to more product-based matters, this year sees the introduction of the Innovation Lab – an area of the show dedicated to, you guessed it, innovation. More precisely, the Innovation Lab will be showcasing some of the latest innovations in cycling, open to ground-breaking concept bikes, mobile apps, technology, start-ups, transport schemes and the latest in safety equipment, kit, accessories and clothing. In this first year, the BikeBiz-backed Innovation Lab will be featuring business-ready tricycles, two different takes on safety lights for cyclists and a cunning new lock product, among others. One of those lights brands featured is See Sense. The company’s lights feature an intelligent sensor that detects the environment and monitors how the bike is being ridden. In situations where being seen is very important – such as at junctions – it flashes more vividly to boost visibility. Light Rider is another light firm making use of the Innovation Lab. The brand, perhaps slightly more familiar to the trade, throws light onto the rider as well as the road, helping cyclists be more visible in the dark. Locksit is a innovative saddle and U-lock combo that aims to boost bike security without riders having to carry extra locks, while Bespoke Tricycles and Bicycles offers vending bicycles designed for businesses to use whether they are a start-up or looking to expand. Outside the Innovation Lab, Raleigh will be among those bringing electric bikes to the show, namely Haibike, Koga and its house-brand over on stand LB30. Raleigh’s own range includes Bosch-driven bikes, while Haibike’s XDURO and SDURO electric mountain bikes feature Bosch and Yamaha technology for off-road action, whilst KOGA offers ‘refined luxury perfection’ from Holland. 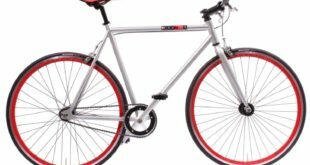 Raleigh is also taking the Dahon brand (LB40) and its new vertically folding Qix and Eezz models featuring a new concealed folding mechanism and streamlined frame. Our spies tell us Bobbin Bicycles will be launching a brand new range at the show, set to be in store as early as March. Meanwhile Rubena (Stand LB500) will have some trade-only clearance offers at the show. The Gaadi easy-change, open-loop tube launched last year will appear at the show, so visitors will be able to see how the inner tube manages to eliminates the need to remove the wheel when changing a tyre. Gaadi tubes are made primarily for E-bikes, but can be used on any bike with a size range from 20-inches to 29er. Rubena’s portfolio covers MTB and extreme, BMX, road race and city and tour. With over 40 different model names, 40 different tread patterns and almost 50 different sizes. Rubena will appear with UK sole trade distributor Bike Tyrestore (Irish dealers have to trade through JH Cycle Sports). Docklands Light Railway is your best bet. Or bike it, obviously. Next Guest comment: should motorists spreading hate online get ASBOS too?